Allahabad University 2019 Entrance Exam Dates has been published. 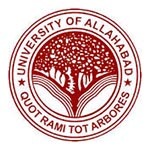 Allahabad University is a central university located in Allahabad, Uttar Pradesh. This university offers education in the field of law, computer applications, arts, science, commerce, etc. Allahabad University organizes several entrance examinations like UGAT, PGAT, LAT, etc. for providing admissions into various UG, PG and other programmes. The University organizes separate exam for UG, PG & other various courses. Here, students can check the Allahabad University Entrance Exam Dates 2019 (AU Exam Dates). Allahabad University 2019 Exam Dates has been released. Check dates from below. Candidates, check here the official schedule of AU Exam Dates 2019. Candidates can get the Allahabad University Application Form 2019 from 12th April 2019. The last date to submit the application form via online mode will be 3rd May 2019. Successfully registered candidates can download the Allahabad University Admit Card 2019 in the second week of May 2019 (For UGAT) & Last week of May 2019 (For PGAT). The authority will conduct the UGAT exam on 20th to 22nd May (B.Sc) & 27th to 29th May 2019 (others) & PGAT exam will be held on 20th to 22nd May (PGAT I) & 29th May to 5th June 2019 (PGAT II). The Allahabad University Result 2019 will be provided to students from 10th to 15th June 2019 for UGAT. The AU Cut Off 2019 will be released after the result declaration. Only qualified candidates will be able to participate in the Allahabad University Counselling Process 2019. The counselling will be started after result declaration in the month of July 2019. Candidates are able to fill the application form only through online mode. No application form is accepted via offline mode as post or courier. While filling application form, candidates must choose test choice (online or offline). No candidate are able to change test choice after submission of application form. The university has released separate application form for UG, PG, Law & other courses. Upload passport size photograph & signature in JPEG format. Candidates must also take printout of application form for further process. The application fee can be paid through online mode as credit card, debit card or net banking. For any other queries regarding Allahabad University 2019 Entrance Exam Dates, you can leave your queries below. I received a SMS for downloading B.Sc (Maths) Group Admit card in the context when I start to download admit card the following information is asking by the system ie. Enter Your Enrollment No., Enter Your Roll No., Select Your Class. I inform you the I could not received the same by any sources. I received only Login ID & Password. Please advice me what to do in this regard ? It is expected to be conducted in the 1st week of June 2019.
bcom ka entrance kb hai??????? Sir AU mn hostel kaise milega maine BA mn form fill kar diya h….sir pls bataiye hostel k liye kb aur kaise apply krna h.
BSC k liye entrance exam kb hoga.plzzz give me a notification. sir,Allahabad uni.b.sc [math]ka exam kb hoga. in 12th i took science stream.. but now i want to do BA so what should i prepare for entrance exam..
Sir,maine abhi class 12th ka ppr diya h. Sir mai jaan na chahta hun ki Government council for B-tech,BE ke liye kya process hai. Sir mai Allahabad University se bsc karna chata hu form online kab hoga Aur kitna fee lagegi.Hostel ki bhi jankari dijiye. Sir..which form i have to fill up for au bca entrance?? You have to fill IPS form for BCA course. Ba 1st year ka entrance exam ki kya date hai ??? online application has been started. Sir can u tell me the approx date of bsc bio entrance exam. In which date B.com entrance application form is release? when will M.A. psychology entrance application start and what is sylabus of its entrance? UGAT APPLICATION FORM OF ALLAHABAD UNIVERSITY FILLING LINK NOT AVAILABLE YET. PLEASE LET ME KNOW. Sir, I want to do B.sc in math so please tell me when the form will published. Sir mujhe B.Sc.math se krna so plz.tell me entrance exam kab hoga..
Sir msc ka entrance form kb aayega. What is the syllabus for entrance exam for UGAT ? Date has not announced yet. How does i fill au ugat_bsc form? From where did i get form?? I bundelkhand university se ba kr rha hu. Kay mai au se ma kr skta hu?